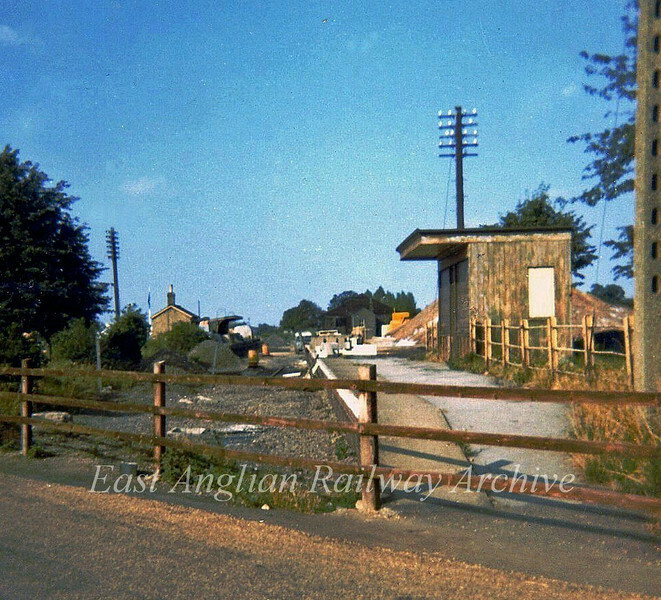 Chatteris Station facing north on 26th August 1973. The concrete post of the Up starter signal remains on the right. Note also the staggered platfoms and the WH Smith bookstall. The station at the time was used as a highways depot. Today nothing remains ,The A141 road uses the trackbed. The demolished station building was behind the bookstall. All that remains is a mound of rubble.